Music City, USA! Long known as the country music capital of the world, Nashville today is a boomtown. With its neighborly vibe, natural beauty and a food scene thick with celebrity chefs, it's not hard to see why Nashville is such an attractive travel destination. What might surprise you — and might even surprise some longtime Nashvillians — is just how walkable and health-conscious this city has become. 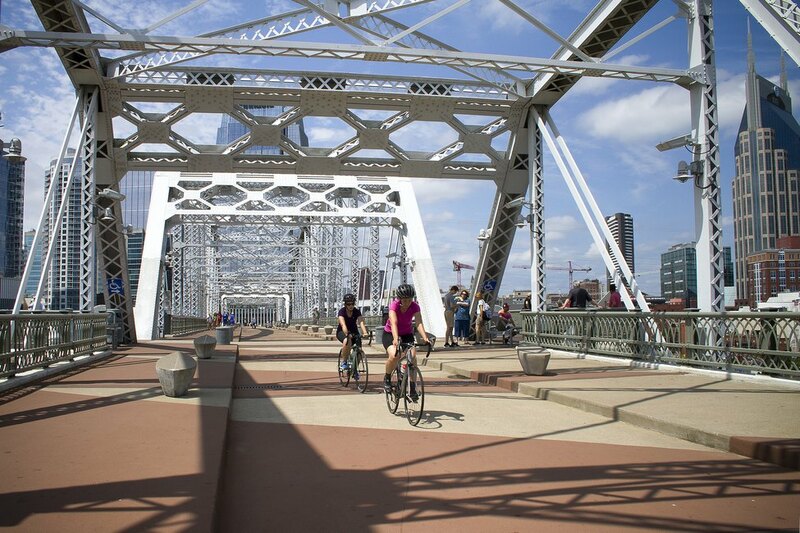 With bike shares, sidewalks and plenty of sights, sounds and tastes to indulge in along the way, Nashville walks the line between down-home charm and big city living. 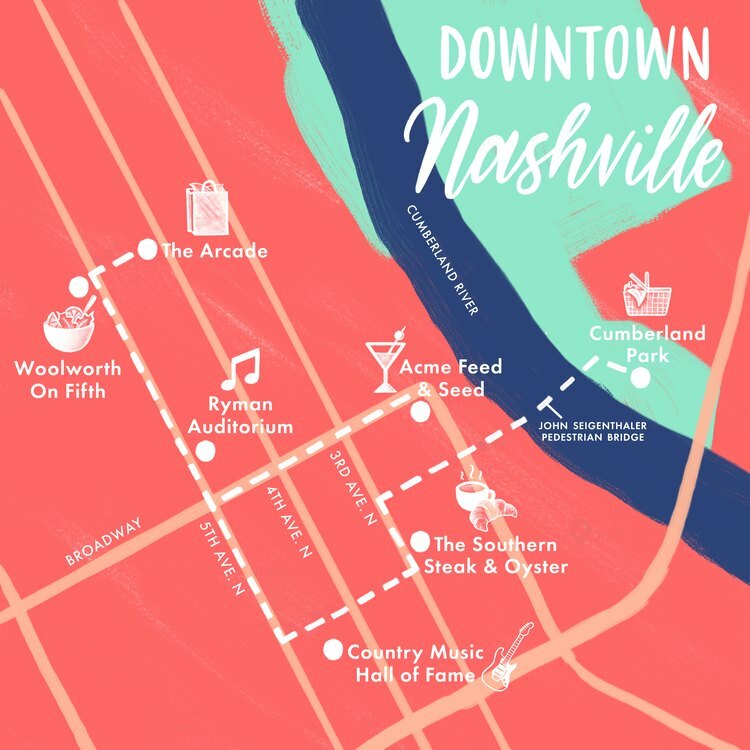 Take a look, get to know Nashville, and then book your trip! Chances are that if you're in Nashville, you want to hear some country music. So let's dive right in and spend the day in the heart of the city. With a walk score of 91/100, downtown is a lively carnival of bachelorettes in matching boots, sports fans in their team's jerseys and buskers looking for their big break. It's also home to historic landmarks, museums and an influx of boutique hotels and restaurants. So spend the day on your feet, taking in art, culture and, of course, country music. We'll start out across the river at Cumberland Park, an innovative play space celebrating the riverfront that includes a splash park, a playground and access to the John Seigenthaler Pedestrian Bridge. Parking is free, and the view of the Nashville skyline from the bridge can't be beat. Once you cross into downtown, turn left on 3rd Avenue and head to The Southern Steak and Oyster for a sustainably sourced breakfast and some Southern hospitality. Located in Nashville's first LEED-certified high-rise, The Southern is committed to making planet-friendly choices whenever possible. So you can feel great about your breakfast — even if you choose fried chicken and waffles over house-made granola. From there, you're just a quick walk up Demonbreun (looks like demon brewin', sounds like da-MUN-bree-un) to The Country Music Hall of Fame and Museum. 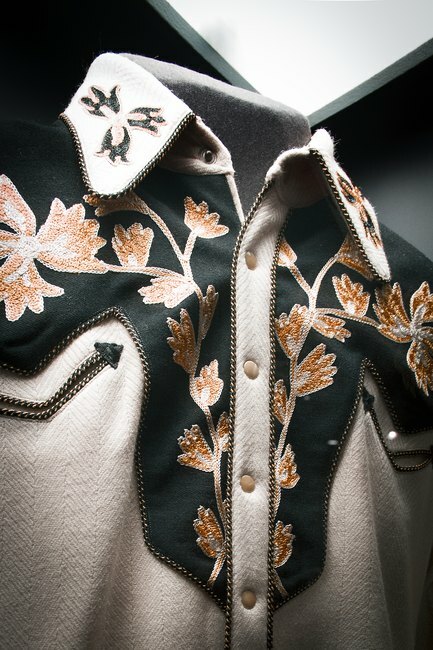 Housing an unparalleled collection of artifacts and exhibits, the museum shares the cultural importance of country music with more than a million visitors each year. Not a country music fan? At the very least, you'll have a whole new appreciation for the truly American art form after this. 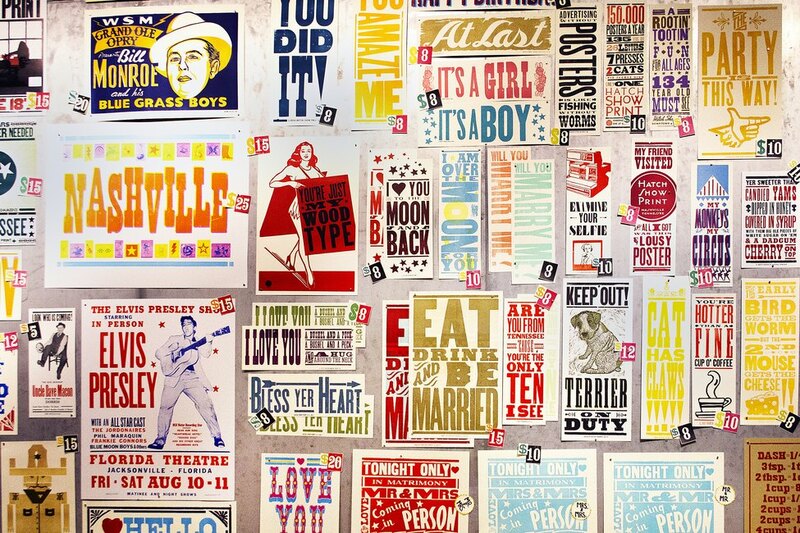 While there, be sure to check out Hatch Show Print, one of the oldest working letterpress print shops in America. Each establishment has its own style (and no cover charge! ), so duck in and out until you find the one that sets your heart on fire. 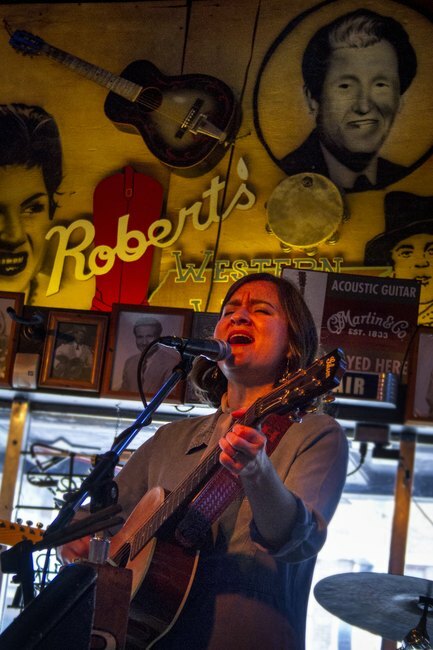 We love the traditional country music and laid-back vibe at Robert's Western World, where, if you're lucky, you just might learn the two-step from a regular. Be sure to bring some cash to tip the bands. 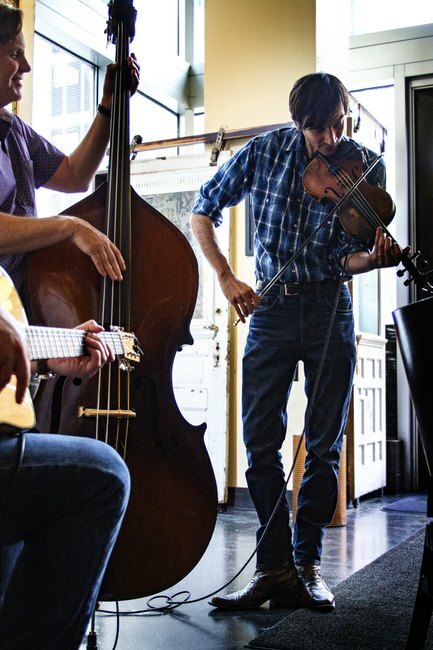 While you could easily spend the rest of the day honky-tonkin', walk on and see what else downtown has to offer. Take a left on 4th Avenue and you'll be face to face with the Ryman Auditorium. The "Mother Church" of country music is the original home of the Grand Ole Opry, the birthplace of bluegrass and the very place where Johnny Cash met June Carter. Hallowed ground, indeed. Make your way around the Ryman and back to 5th Avenue where a quick stroll away from Broadway will have you at the newly reimagined Woolworth on 5th. The Woolworth building was one of Nashville's original "five-and-dimes" and the site of some of the first lunch-counter sit-ins during the Civil Rights Movement of the 1960s. You can take your dining experience to the next level with the Hot Harissa Chicken Sandwich (a local specialty) or opt for a lighter option like the Organic Green Salad and Deviled Eggs with Smoked Trout. While on 5th, take advantage of the dozens of art galleries and studios that make up Fifth Avenue of the Arts. Stop in at The Rymer Gallery to delight in contemporary art pieces, including the wonderfully unique crayon creations by Nashville artist Herb Williams. Once a month, the art galleries throughout downtown host receptions and art openings at the The First Saturday Art Crawl Downtown. It's a fun night out and a fantastic (free!) way to support the arts in Nashville. Next, why not take a break from the sun and walk through The Arcade? Built in 1902 and modeled after an arcade in Italy, this unexpected space is two stories high, with a gabled glass roof and an eclectic collection of shops, restaurants and art galleries. Pop in to The Bubblery Nashville and treat yourself to a Stress Less Bath Bomb with chamomile and bergamot or a handmade organic lavender and coconut milk soap. You'll thank yourself later. Once out of The Arcade, make your way back to Lower Broadway along 2nd Avenue, where wide brick sidewalks and shady trees provide a nice contrast to tourist traps and gift shops. 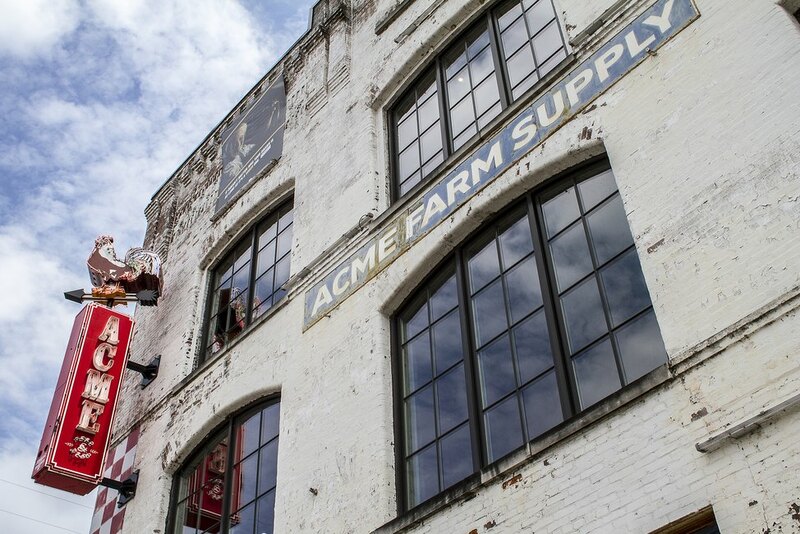 On Broadway, take a left toward the river and you'll see Acme Feed and Seed, 22,000 square feet of food, drinks, shopping and entertainment. Head up to the rooftop bar for a delicious cocktail and an incredible view of all the ground you covered. The only question now is: Where will your boots take you next? 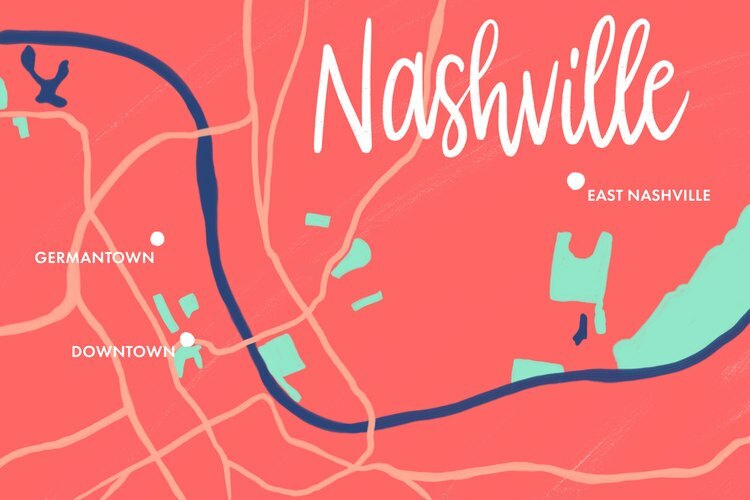 Just across the Cumberland River from downtown is East Nashville, a hip, hilly, historic community of creative types and families. 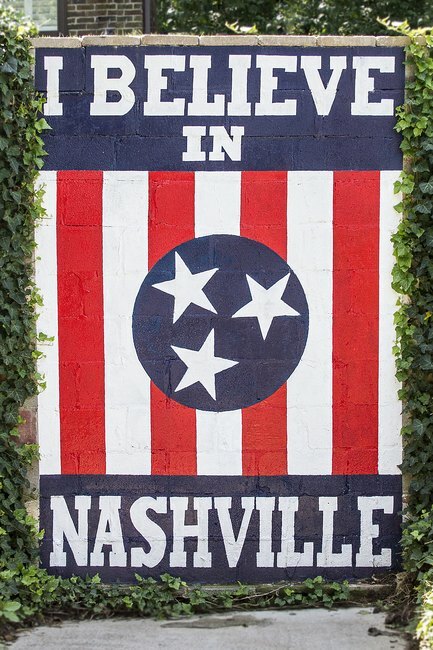 An old bumper sticker wasn't wrong when it called the zip code "Nashville's Right Brain." 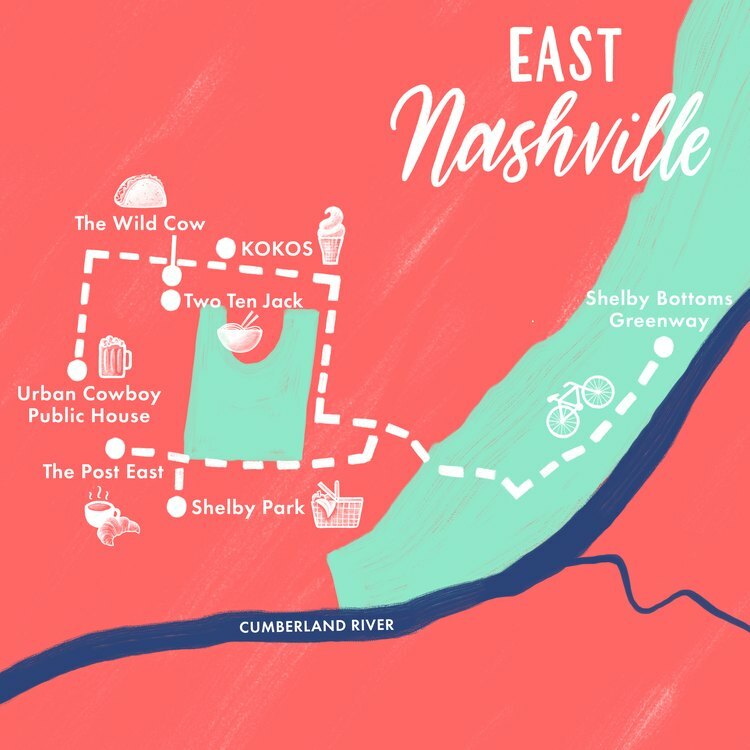 As more and more people move into the city, East Nashville has become one of the most desirable areas to live and play. Its progressive vibe and eclectic personality make it easy to see why this front-porch community is so magnetic. Today's tour will be a little less honky-tonkin' and a lot more walking, so get started with a healthy breakfast. Located at the corner of Fatherland and 17th in historic Lockeland Springs, The Post East specializes in gluten-free, vegan and organic dishes sourced responsibly. Favorites include the Ordway Omelet with caramelized onions and garlicky kale and the Breakfast Quinoa. From the Post, it's just a couple of blocks to one of the best nature areas in town, Shelby Park. 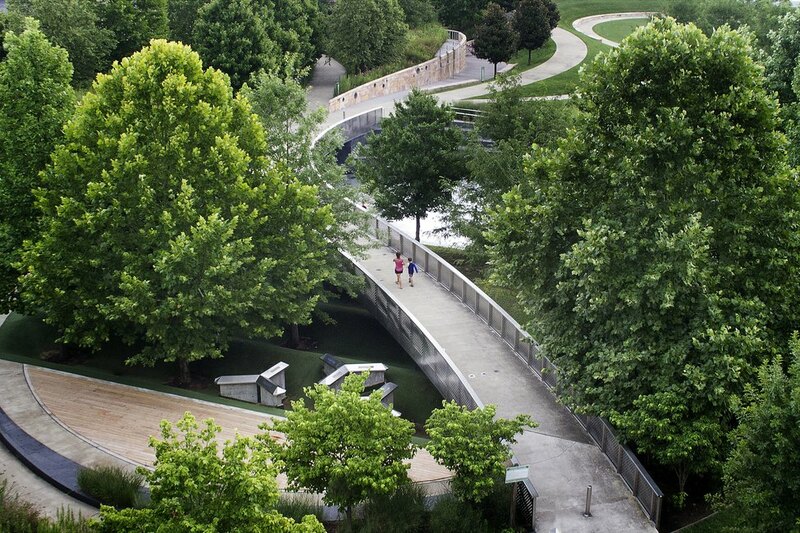 With more than three miles of land bordering the Cumberland River and more than five miles of tree-lined trails for walking, biking, hiking and running, this beloved park seems a million miles away from the city. Now that you've cleared your head and gotten back in touch with nature, head up Riverside Drive to Eastland and The Shops at Porter East (you can return your bike at the top of the hill). 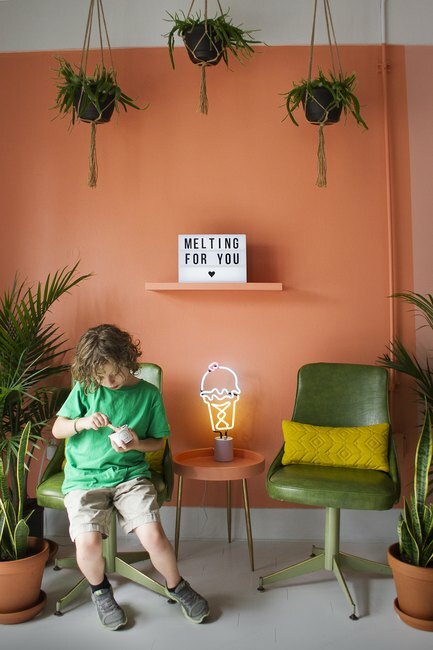 Treat yourself to a scoop of dairy-free ice cream at KOKOS. The seasonally available Peach Creamsicle is well worth the walk. 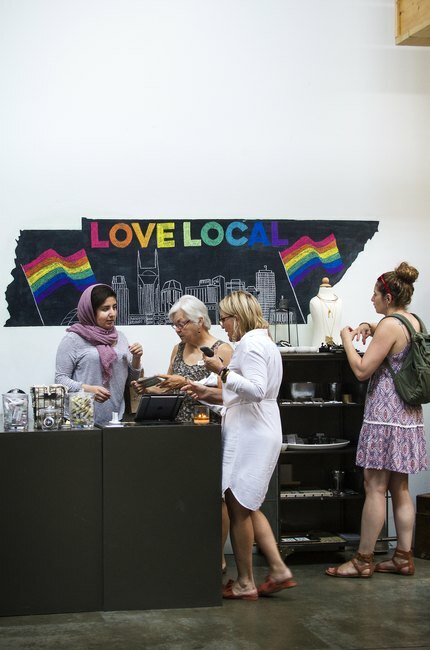 Once you cool down, check out the local shops, including Lucaya Clothing Company, a women's boutique with a boho vibe, and Pony Show Nashville, a gift shop for "gals and pals" featuring quirky goods from female makers. 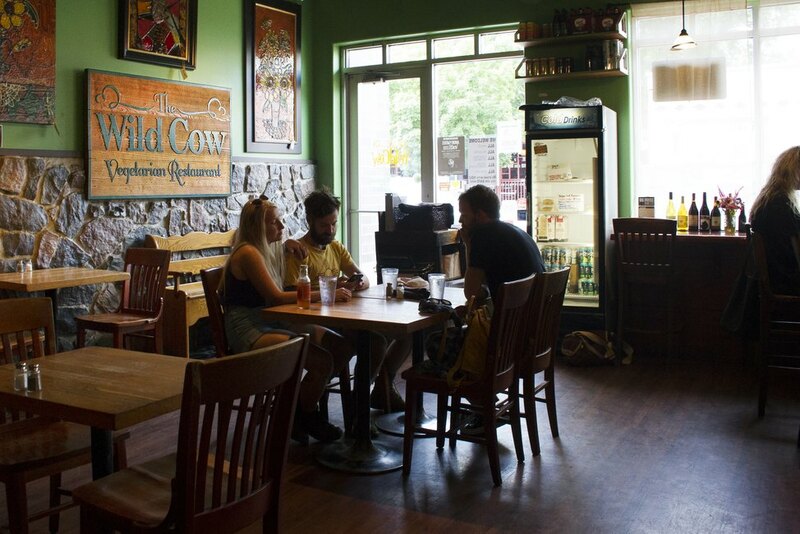 When you're ready for lunch, take Eastland Avenue to The Wild Cow Vegetarian Restaurant for favorites like the Buffalo Beans and Greens or Chipotle Seitan Tacos. The entire menu is vegan (and delicious), and we love the laid-back vibe and sustainable practices. After lunch, head around the corner to Climb Nashville. 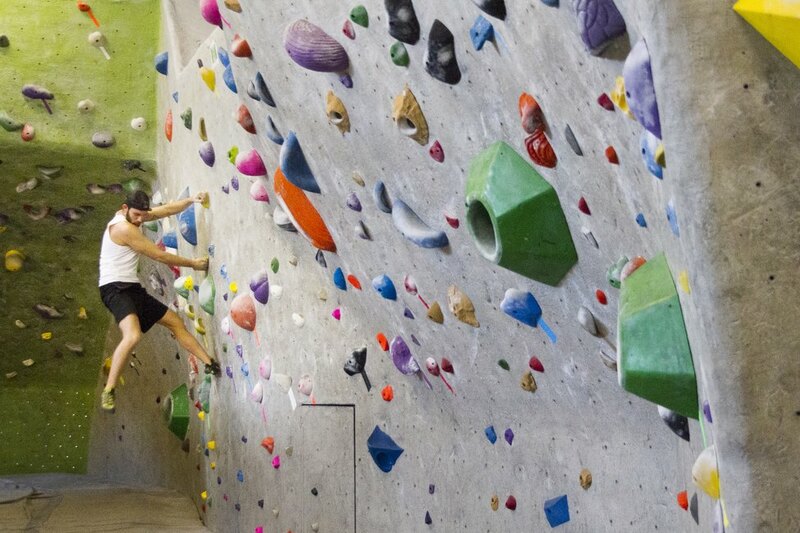 With more than 4,000 square feet of dedicated bouldering terrain, multiple auto belays and a variety of fitness classes (including High Intensity Interval Training, Core 30 and Vinyasa Flow Yoga), you can take your fitness and fun to the next level. If you're looking to upgrade your beauty routine, we highly recommend reserving time at the Lemon Laine oil bar — a sensory experience that will leave you with a custom oil designed to meet your skin's unique beauty goals. While there, shop from the beautifully curated products hand-selected for their quality and natural ingredients. 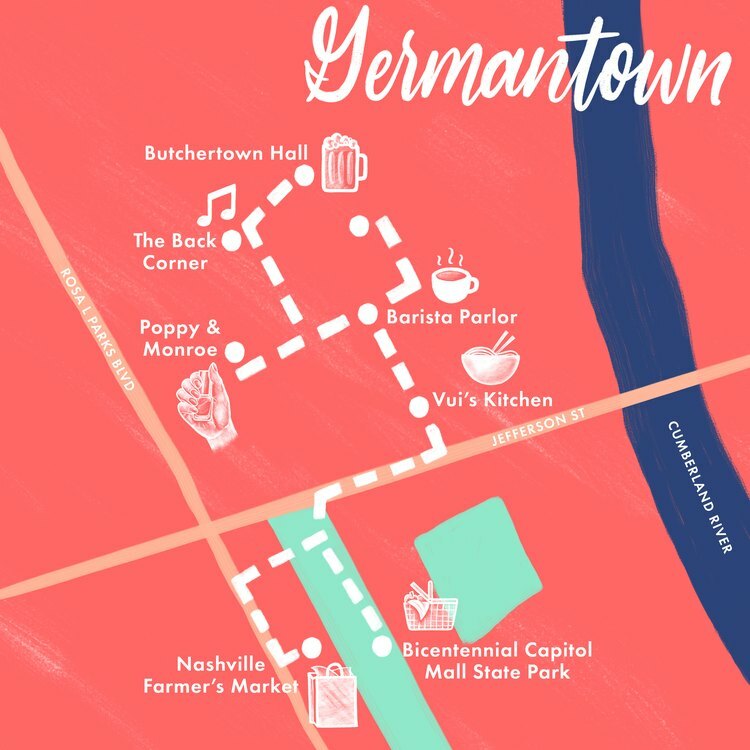 Just north of downtown is Germantown, a vibrant mixed-use community established in the 1850s by European immigrants. 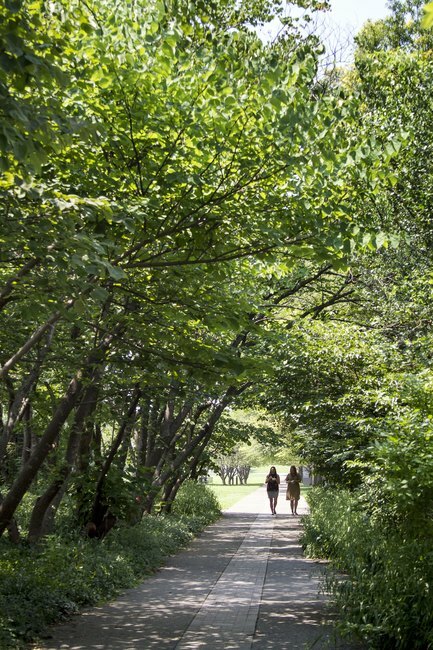 Architecturally beautiful, this neighborhood has been listed on the National Register of Historic Places since 1979 and is designated a city arboretum for the more than 100 species of trees that grow here. 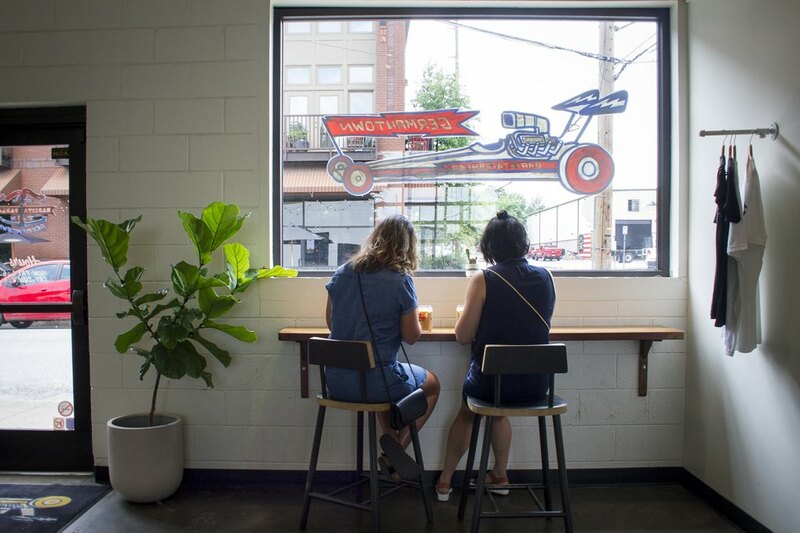 As Nashville's first suburb, this 18-square-block neighborhood feels refreshingly current today, with dozens of walkable restaurants, boutiques and coffee shops. With its history and character in tact, this leafy neighborhood is a fantastic place to spend a day. Nestled amongst new apartment buildings and construction is Steadfast and True Yoga, a charming brick bungalow that's home to a more than 40 yoga classes each week. 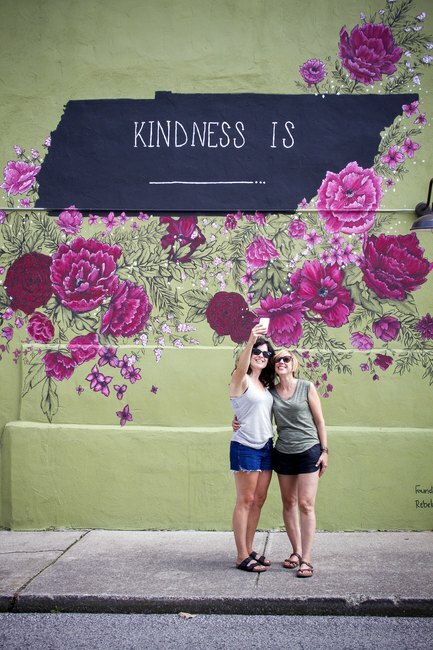 Their welcoming atmosphere and inspiring teachers create a sacred space for yogis in all stages of their practice. All stretched out and feeling blissed? Great! 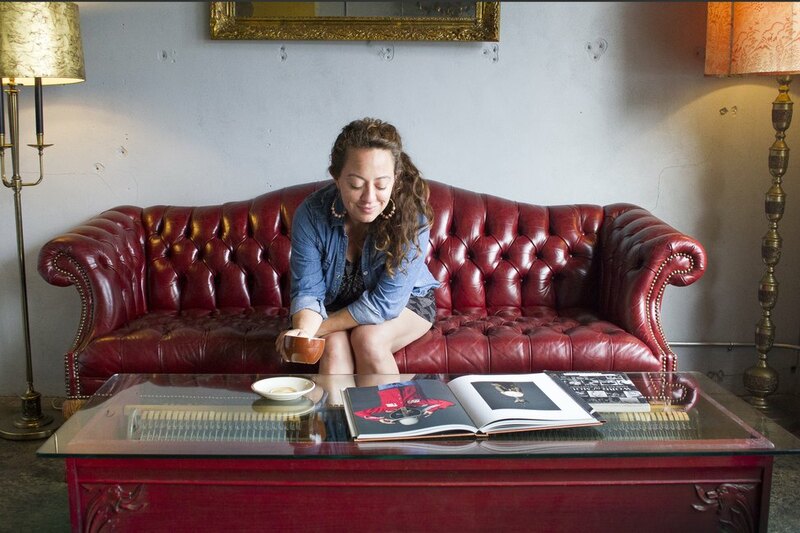 Head to Barista Parlor for coffee and a bite to eat. This is coffee for true coffee lovers and has been rated one of the top coffee shops in America. Find out why with a fancy pour-over and a melt-in-your-mouth buttermilk biscuit topped with a Willow Farm egg and Kenny's Farmhouse white cheddar. 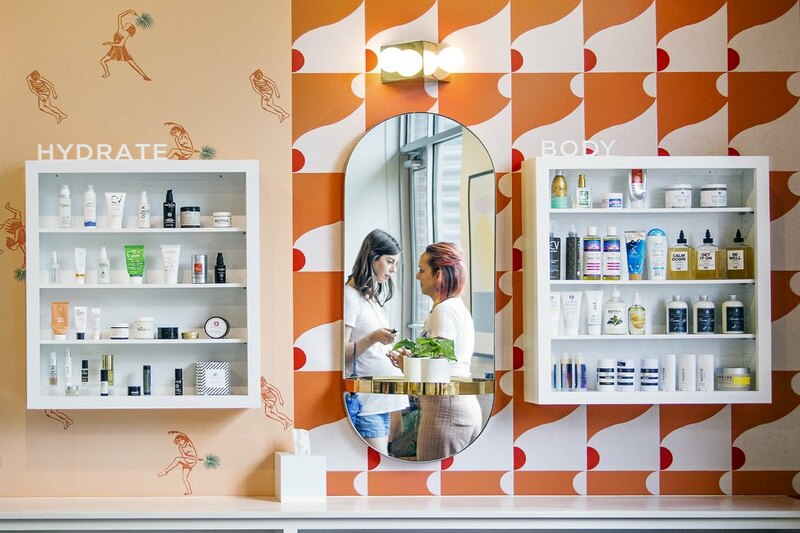 Next up, a little pampering at Poppy and Monroe, an all-natural nail salon and beauty boutique located in a restored 1870s row house on the corner of 6th and Monroe. Indulge in a eco-friendly waterless pedicure free of toxic chemicals and guaranteed to put a spring in your step. After walking all over Nashville, your feet deserve a treat! Take Monroe back to 4th and you'll find lots of great local boutiques, including Alexis + Bolt, a laid-back "shoppable home" for home goods and gifts, and Rich Hippies, a thoughtfully curated boutique for all the supercool kids in your life. Next up, lunch. Vui's Kitchen has a fresh take on authentic Vietnamese. Favorites include Pho Noodle Soup and its signature Banh Mi Sandwich (with a veggie option too). Vui's uses only whole-food ingredients, and nothing on the menu is fried or contains MSG. 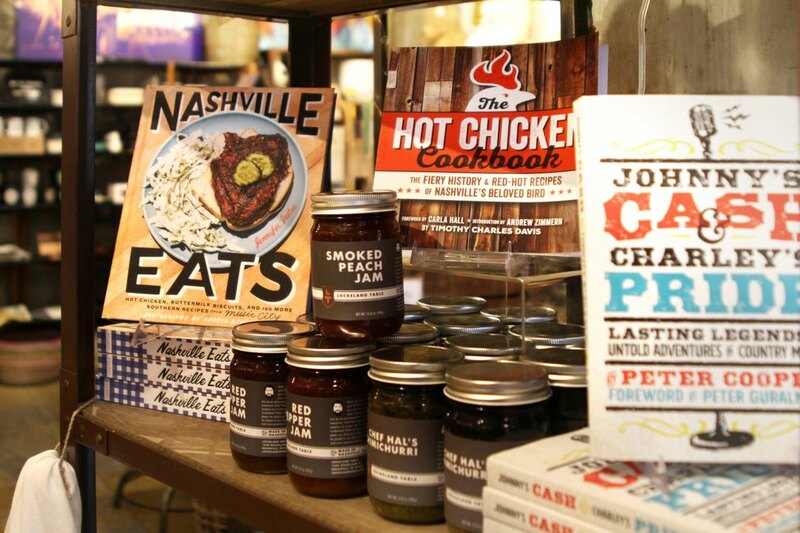 Vui's is also certified by Eat Real Tennessee for its commitment to holistic nutrition and environmental stewardship. Up for a little stroll? Just across Jefferson Street is the Bicentennial Capital Mall State Park. Located in the shadow of the Capitol, this 19-acre park gives visitors a taste of Tennessee's history and natural wonders. Take in the World War II Memorial, cool off in the Rivers of Tennessee Fountain and be sure to check out the native plant species along the Walkway of Counties. 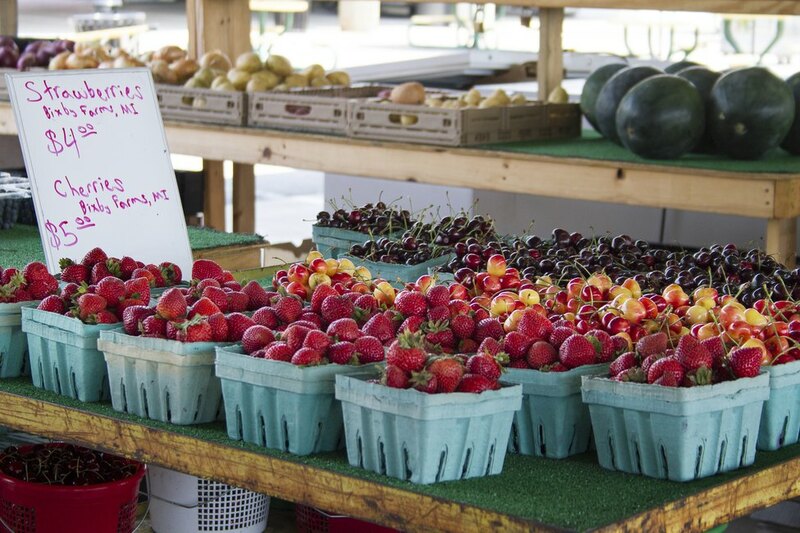 Adjacent to the park is the Nashville Farmers' Market, where you will find farm stands, restaurants, artisan shops and so much more. 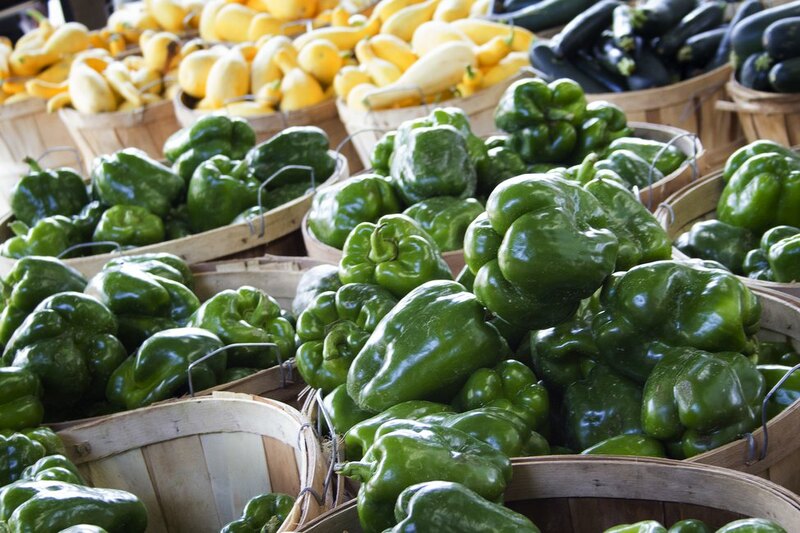 Open year-round, the Farmers' Market is home to more than 150 farmers and merchants, including Jamaicaway, Nashville's best spot for authentic Jamaican food. Grab a cold-pressed juice at Fountain of Juice and be sure to check out the incredible plant selection at Gardens of Babylon. A block away is First Tennessee Park, the beautiful new state-of-the-art stadium for the Nashville Sounds minor-league baseball team. Not a baseball fan? Duck into Geist for a craft cocktail in its lovely Champagne Garden courtyard. This charming neighborhood bar and restaurant may have just opened its doors, but it has the timeworn, familiar feeling of an old friend's home. The building itself is one of Nashville's oldest family-owned businesses — John Geist and Sons Blacksmith Shop — and was placed on the National Register of Historic Places in 1980. For dinner, head back across Jefferson Street to one of our favorites, Butchertown Hall. This gorgeous space, with 40-foot-tall cathedral ceilings and gleaming white subway tile, is a stunning take on a classic beer hall. 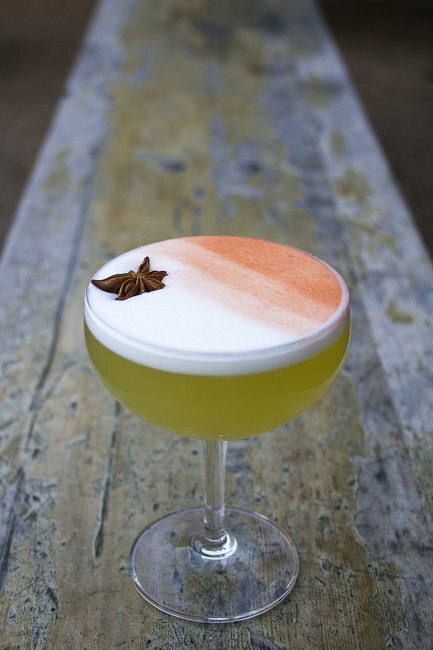 The concept pays homage to the neighborhood's historic German roots, while the wood-fired menu is inspired by owner Terry Raley's Texas Hill Country upbringing ("Texo-German," as he calls it). What does that mean for you? Smoked brisket by the pound, the best margarita in town and an impressive beer menu featuring custom brews and exclusive European imports. We can't end a tour of Music City without a live music recommendation. Check out The Back Corner at 5th and Taylor for near-nightly entertainment that will make you see Nashville in a whole new light. Country music may be what put Nashville on the map, but it's just part of the story. Maggie Conran is a stay-at-home mother of two and housewife. 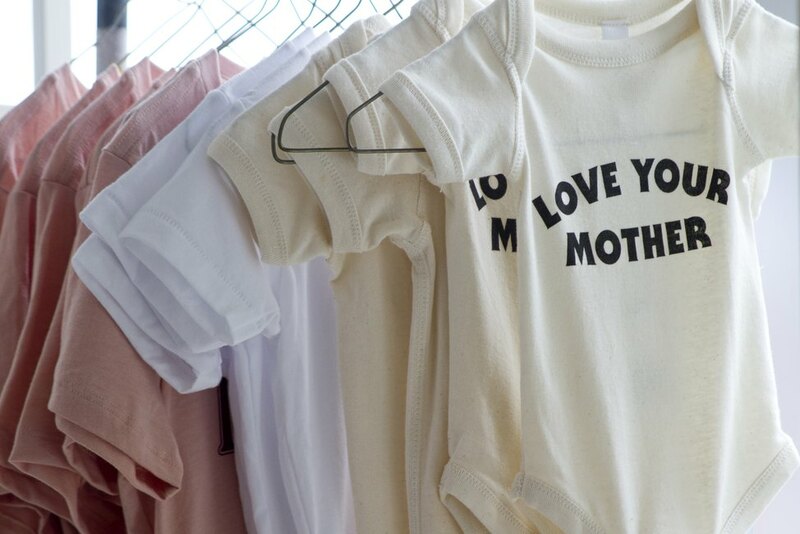 She blogs about carefully navigating motherhood and trying to avoid such common pitfalls as sweatpants and mommy brain.